I love Android so much not only because it’s from Google, but because it’s really the best for me and maybe YOU too. Can you imagine? I was trapped in a heavy traffic today and I have to watch my favourite team – ARSENAL play with Swansea this evening. So, I immediately put on my HTC Android Smartphone then open up Sybla TV and I watched the football game for almost 30 minutes before getting home. At times you might find yourself in a situation like this but next time, don’t panic. You want to watch your favourite team play a very important match on your Phone. Yes, it's very possible. Sybla TV can help you out. Sybla TV is a live TV streaming application for Android devices, it streams live TV channels from Europe and Middle East Region meaning you’ll be able to watch channels like MBC, Aljazeera, EuroSport and lots of other great channels. Sybla TV features Al Jazeera sport 1-8 and SkySport 1-8 making it possible for you to watch almost every league matches like Barclays Premier League, Italian Serie A, German Bundesliga, Spanish La Liga and so on. Sybla TV is not only for football lovers but also for sport lovers in general because you can also watch other live sports on it like Cricket, Rugby, Tennis, Golf etc. 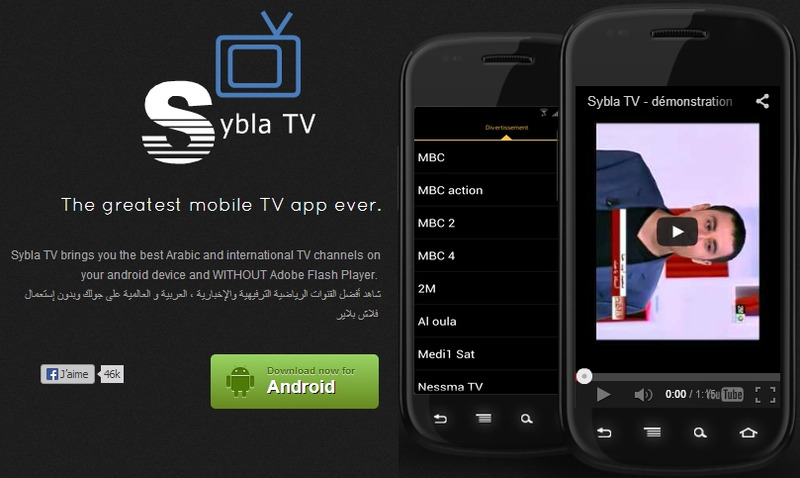 Sybla TV also gives it users the ability to watch movies, documentaries and news although it is mostly delivered in English Arabic. The most interesting part of Sybla TV is the fact that the resolution is in high quality making you feel like you are watching it on a High-quality LED Television. How can I get Sybla TV on my Android ? Really, you can only get Sybla TV by clicking here or by going to their main website – www.sybla.com because this application is not presently available on Google Play / Android Market. Note: To use Sybla TV on your Phone, you must first install MX Player and its required codecs on your device. MX player is available on Google Play, just search for ‘MX Player’ and install it before you install Sybla TV. Also, Sybla TV is a live streaming application so you must have a data plan preferably an unlimited data plan before using it. If you have any problem installing and using Sybla TV on your Smartphone or Tablet, drop a comment here & I will be glad to help and do you know of any other Live Streaming Apps for Android or other mobile OS, then kindly drop your opinion and suggestions here. I also experienced such a thing but keep trying...The only reason why you are getting that error is because of slow internet connection, you know its working with your data connection..